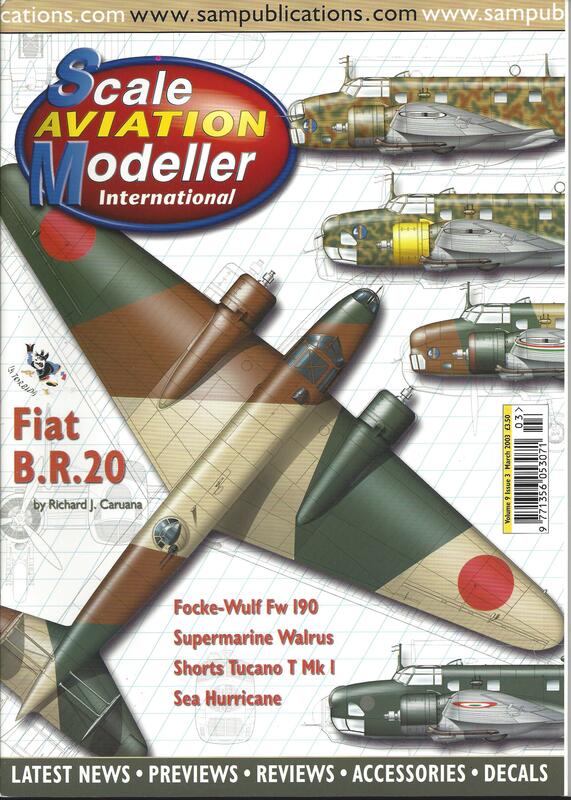 Scale aviation modeller 3/2003 | Jakab Publishing s.r.o, letecká historie. Anglický modelářský časopis. A4, 95 stran, Fiat B.R.20, Focke-Wulf Fw 190, Supermarine Walrus, Shorts Tucano T Mk I, Sea Hurricane.